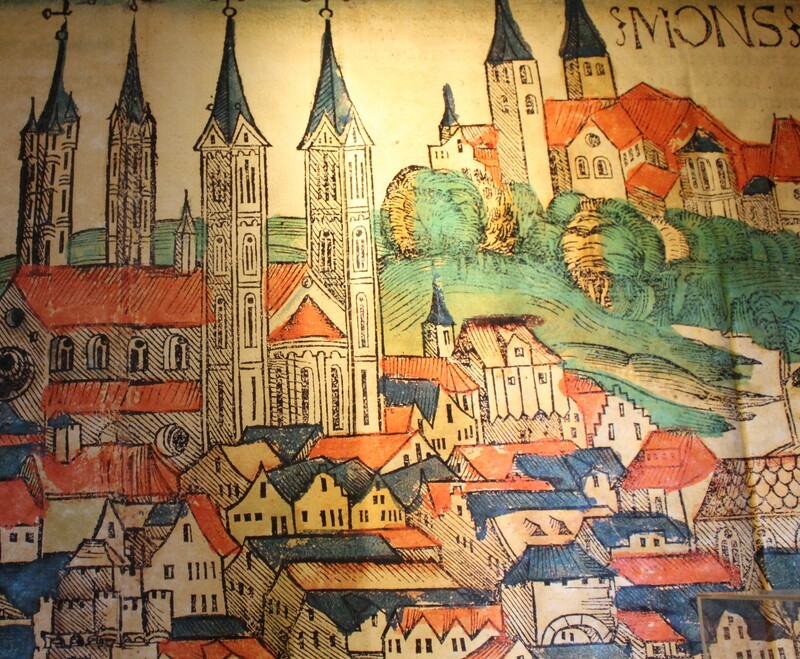 My image of Bamberg began before I ever went there — starting with the black-and-white photo of the rivers and bridges and medieval buildings hanging in our New York City apartment during my childhood, and continuing with my father’s tales of the glories of his native city (and my birthplace) – all memories wrapped in lushness. Close to the old medieval center of town is the Hain, a neighborhood of late 19th century mansions of light-colored stone, square and stolid. I saw it for the first time in 1973, when my father guided us to the places he had always talked about. He showed us the building on Hainstrasse where the Jewish social club (Ressource) had been located. In 1973, it was an insurance building. We actually went to the door to see if there was any indication of its previous incarnation. Nothing. Many of the builders and original owners of these homes were Jewish; they were hop merchants and factory owners. The Dessauer family was one of those and number 4a Hainstrasse is the address of the Villa Dessauer, which today houses the Municipal Museum of Bamberg. When Hitler came to power the Villa was inhabited by the Pretzfelders, Jewish descendants of the Dessauers. 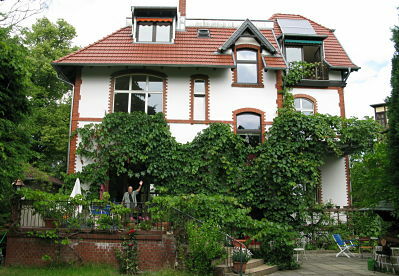 In 1939, while the Pretzfelders were still living there, #4a became a “Jew House” (Judenhaus). The Jews of Germany no longer had any rights as citizens. They were removed from their own homes into group quarters. My grandparents were relocated there from their own long-time residence, as well as numerous other Jewish people. They had been friends with the Pretzfelders and one can only imagine the psychic and physical impact of such a dislocation. By late 1942, all these people had been deported to their various fates in ghettos and death camps and none of them survived. After the War, the Villa became the America House, a part of the U.S. Government whose job it was to re-educate German citizens with democratic principles. After the Americans gave it up, the Villa became the Municipal Museum. In 1991, I had an exhibit of my artwork there, along with three other American artists. My work was titled “In Search of the Lost Object”. It was a multi-media installation in several rooms of the Museum, and it was about the fate of our Jewish Bamberg family — those of us who survived, and those who didn’t. Since my grandparents, who were deported to a camp east of Lublin in April, 1942, had resided and suffered in this building, my show was full of ghosts and my mind was filled with imagined scenarios. It was the most powerful experience of my life as an artist. 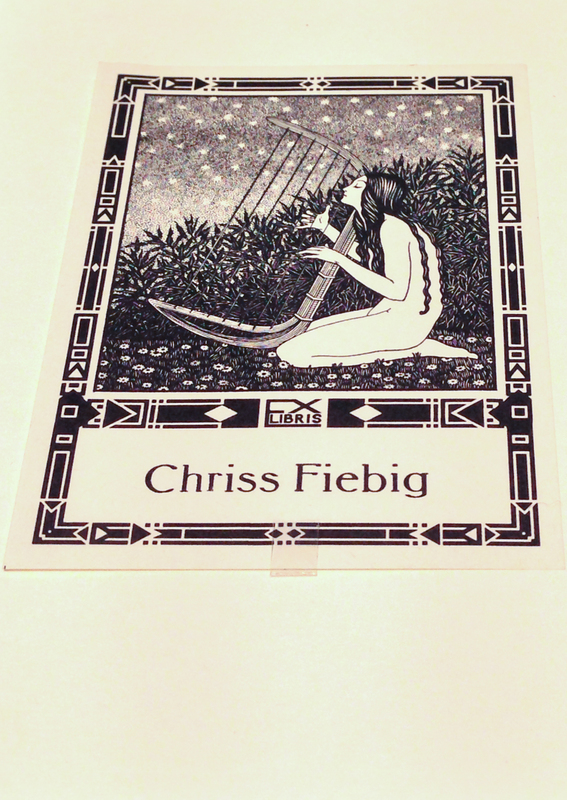 During a trip to Bamberg in 1990 to prepare for the exhibit, Sonya and I met Chriss Fiebig. She was a striking woman with blonde hair pulled back into a tight bun, piercing blue eyes set in an angular face and a deep laugh. Chriss was a fierce advocate of all things Jewish in Bamberg. 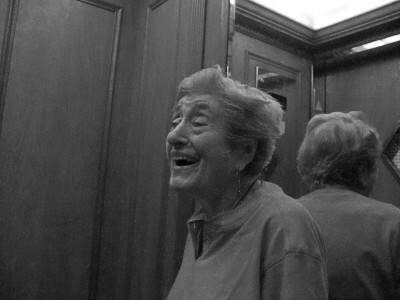 She felt certain that her grandmother had been Jewish and she adopted Judaism as her identity. She learned Hebrew and married a religious Jewish man in Paris, where she had gone to become a model. When the marriage failed, she returned to Bamberg. Chriss was active in more ways than I can say: in restoring the Jewish cemetery; in giving tours to visiting Jews and gentiles alike; in teaching about Judaism to seminarians; in leading interfaith services, and on and on. 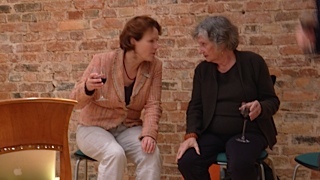 She became my guide and mentor in Bamberg and I will always be grateful to her for her combination of warmth and shrewdness. When an expanded version of my show was at the Cathedral of St. John the Divine in New York City in 1994, we invited Chriss to join a panel that also included Reb Zalman Schacter-Shalomi and the Reverend James Morton, then Dean of the Cathedral, to talk about Jews in Germany today. For me, Chriss was a cheerleader, guide, and a dear friend. 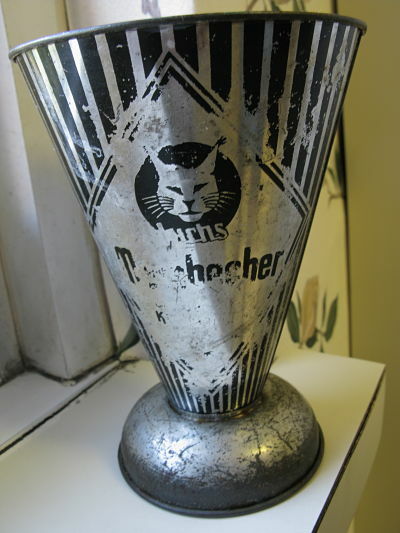 In November, 2013, the two pieces from the 1991 show that the Museum had acquired were to be exhibited again as part of a large historic exhibit called “Jüdisches in Bamberg” (Jewish Life in Bamberg). (the exhibit is up until June 1, 2014.) It was very sad that Chriss was not there for this show — she died quite suddenly in 2004. She is buried in the Jewish cemetery in Bamberg. Regina Hanemann, the Director of the museum, guided the process of this show over a period of years. She is sensitive to all aspects and she was a generous and caring guide to Sonya and me during our one-week stay in Bamberg. Among other things, Regina is aware of our interest in the food history of German-Jews. She pointed out the berches (bear-ches) bakeries in Bamberg and had fresh berches from one of those bakeries at the reception, in our honor. It was very moist and chewy, the way it used to be in New York when I was growing up. The new exhibit traces the history of Jews in that city. Included are artifacts, photographs, portraits, written material, art work and videos. Looking at the intervening 19 years, there has been a massive change. The show curated by a young historian, Timo Saalmann , reflects the amount of academic interest there is today in all things Jewish in Germany. The preservation of memories and historical information is a driving motivation. I was pleased to be able to speak at the opening to a packed audience, in bad German, about the changes I have witnessed, and about my family’s ongoing connection to Bamberg. 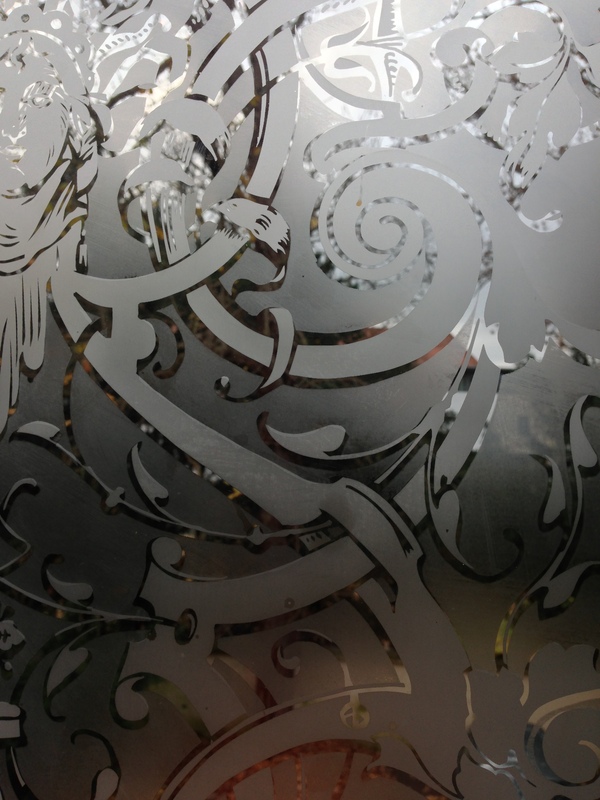 Ours is a story of continuity and discontinuity – a story of community and people within that community. For me (Gaby), the story takes place in a visually stunning setting, one in which the cliffs of the Palisades of New Jersey tumble straight down to the Hudson River with the iconic George Washington Bridge spanning the scene. In my mind’s eye, I can also see the blue lights of Bill Miller’s Riviera, a nightclub that clung to the top of the cliff directly across from my apartment building in New York City’s Washington Heights neighborhood, until it closed in 1953. The lights screamed out (it is easy to get dramatic with memory) and illuminated the night sky. 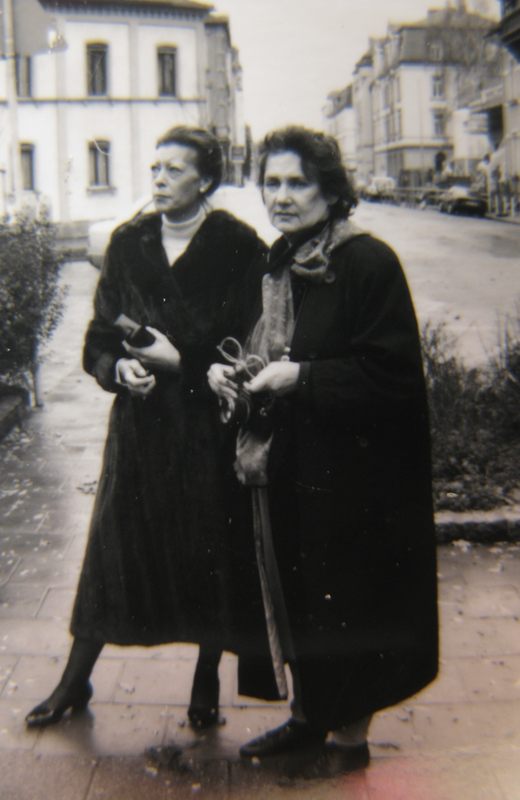 My apartment building was a few doors down the hill from Herta’s — though I didn’t meet her until many years later — and I walked this hill twice a day every day of my childhood, because we came home for lunch from grammar school in those days. That view is burned into my brain so much so that the imagery has entered my artwork. It is always a wild trip to return here, where all the buildings and streets remain the same. In the here-and-now we cling to the mundane, and yet our tale is far from mundane. We are visiting Herta Bloch, who had her 92nd birthday in June. She is almost a generation older than me (even though I am starting to feel like I belong to the oldest generation). “What can you do about age? Accept it” she says. 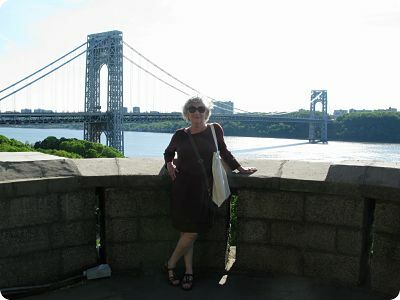 Charging around her beautiful apartment with a majestic view of the Hudson and George Washington Bridge, Herta is bright-eyed, cheerful and vibrant. Time has been good to her. 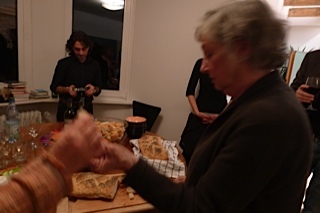 We are here to learn how to bake Krokerle – a cookie that is unique to her German-Jewish family. 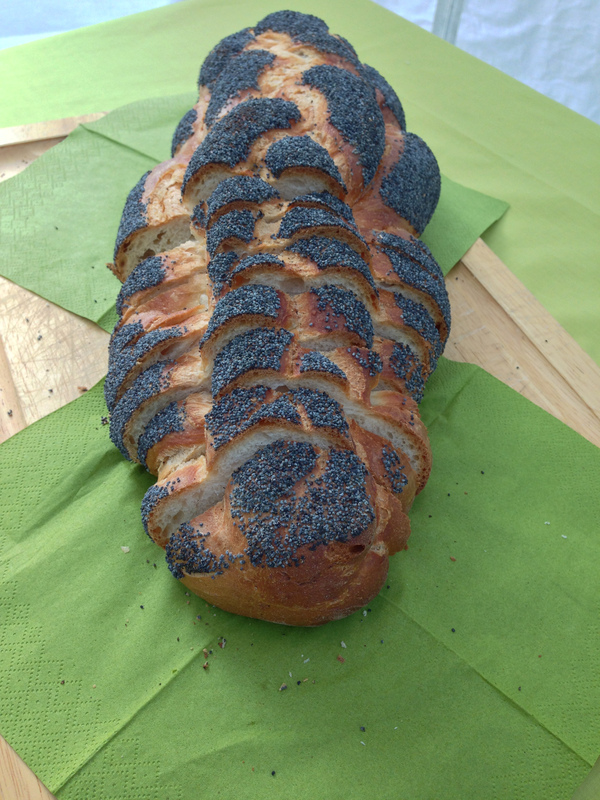 It was baked by her mother and exists in Herta’s archive of family recipes. We are surprised – and find it hilarious – when Herta says: ‘I have never made these cookies before.” We came to learn from an old master, only to discover that it is her first time! In fact, we learn that the recipe skipped a generation, passing from grandmother to granddaughter — and it is Marion, Herta’s daughter, who bakes the Krokerle in the family. On second thought, we decide that this is great! It adds to the “living quality” of the food, that the old-timer is learning to bake her mother’s recipe for the first time. This recipe produces confections with a wonderful combination of chocolate, spice and a rich nutty flavor, but they are not overly rich as they don’t contain dairy or oil. The clove may be substituted with another spice if desired, such as nutmeg or cinnamon. 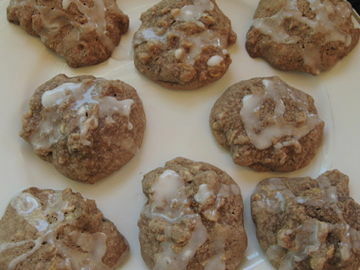 One other note, the size of the cookies is variable as desired, dropped either by the teaspoonful or tablespoonful. The Bloch family traditionally made Krokerle for Channukah, but they are delightful any time of year. 1) Mix eggs and sugar with a whisk until light and foamy. 2) In a separate bowl, sift dry ingredients together and add to egg and sugar mixture. Stir to combine. Add liquor and nuts, stir to combine. 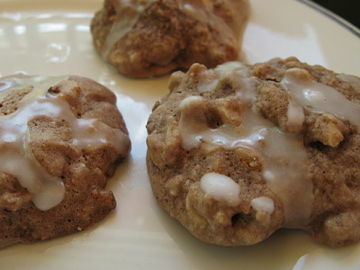 3) Drop by the spoonful (either teaspoon or tablespoon) onto greased cookie sheets and place about 2” apart. 4) Bake 10-15 minutes, until lightly browned. Remove from oven and place on a cooling rack. 5) While the Krokerle are baking, make the glaze: Combine the confectioner’s sugar and lemon juice and stir until smooth. Add a drop of water if it is too thick. 6) While the Krokerle are still warm, drizzle each one with a small spoonful of lemon glaze. Let cool. Note: To skin hazelnuts: Spread the nuts on a cookie sheet and toast in a 350° F for about 10 minutes, or until you start to smell them. Be careful not to let them burn. Immediately remove from oven and spread them on a clean kitchen towel. Wrap the corners of the towel over the top and let sit for a few minutes – the steam will help loosen the skins. Roll the nuts around in the towel, unwrap and most of the nuts will be skinless. Boston being Boston, the Boston Globe’s food pages last month turned to Irish food traditions, in honor of St. Patrick’s Day. In this article, Jane Dornbusch wrote about a butcher shop in the Irish-American neighborhood of Dorchester in Boston. What struck me most profoundly about the piece was how in many ways it could just as easily have been written about German-Jewish food traditions. It included aspects of Irish food that were unfamiliar to me, and the one that struck me first was the topic of sausage. This same description could have been written about the German-Jewish butchers of Washington Heights when I was growing up in terms of the large variety of sausages available. The butcher, Alan Gibson, is a native of Ireland who opened the Butcher Shop Market in 2009. He acknowledged that the Irish-American tradition of corned beef was unknown to him in Ireland, but that he, being a food purveyor in Boston, learned about corned beef in order to meet the demand of his customers. He prepares it the natural way, without preservatives, with a simple brine. The color of his corned beef is not the commonly seen red (which is chemically induced), but rather greyish. The prevailing tradition here is not only the food itself, but also its preparation and adherence to historic standards of purity. This story felt familiar. I could relate – not only to the sausage part, but to the principle of simple food preparation without a whole lot of food industry commercializations. 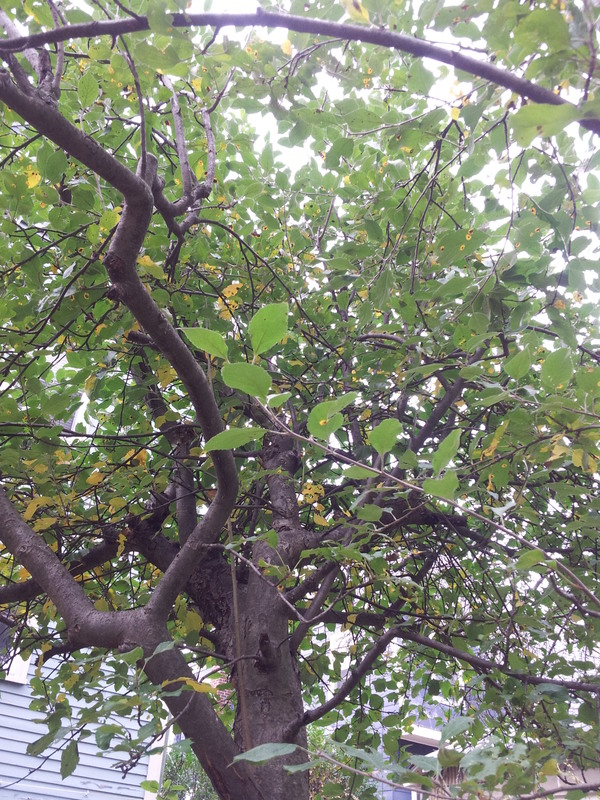 I thank Jane Dornbusch for this story which illuminated an aspect of our own story for me. The pictures of sausages you see above and below are not Irish. 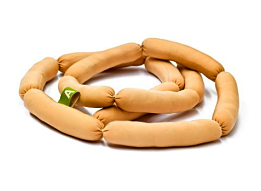 In fact, they are not real sausages at all, but rather sewn and stuffed fabric! 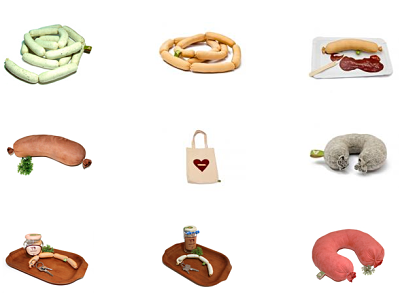 We recently discovered this shop owned by Silvia Wald, called Aufschnitt, that makes these “cuddly wursts” in Germany – in the Friedrichshain neighborhood of Berlin. She makes a variety of meaty stuffed items – from small sausage links to large beanbag chairs in the shape of a ham bone. And since they’re made from fabric and thread, they’re all vegetarian (and kosher)! We would like to let you know that we will be presenting a talk about German-Jewish cuisine in NYC next week, including a tasting of some of our recipes. We would love to see you there if you are in the area! What a pleasure to think back to that balmy autumn day on Long Island, while we shovel out of our two feet of snow here in Boston. This is a perfect time, when pretty much everything has closed down in the public world, to sit down and write up the cabbage segment of the two-part cooking demonstration we held at Golden Earthworm Organic Farm’s CSA Harvest Festival last October. You can read about the first part, preparing Kohlrabi in Roux (with a recipe included), here. We chose to make our Cabbage Slaw, a dish prepared during my childhood by my grandmother. I always loved it at the festive meals where it accompanied things like roasted duck. But we realized that it could easily be a stand-alone dish that people would enjoy snacking on during the farm’s afternoon event. 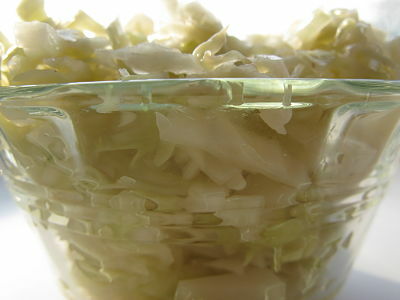 This dish is neither a typical cole slaw (it does not contain mayonnaise), nor sauerkraut (it is not fermented), though it bears similarities to both. 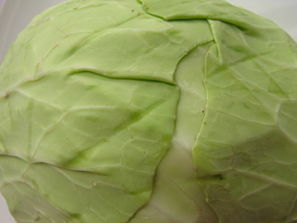 The characteristic feature of this recipe is that the cabbage, after having been shredded as finely as possible, is covered by boiling salted water and allowed to steep for at least one hour, causing it to wilt while maintaining much of its crunchiness. During the demo at the farm we poured off the water after a half-hour (simply because we were short on time) and had good results, though the extra soaking time certainly results in the cabbage having a more subdued – and pleasing – texture. After dressing the cabbage in a vinaigrette, it was ready to go – and go it did!! Children and adults alike came back for seconds (and thirds!). We realized we aren’t alone in our penchant for this zesty slaw. Actually, it would be a great dish in this snowy weather. I think I will go make some now to eat along with the lamb shank that’s roasting in the oven. Although the original recipe for Krautsalat in my grandmother Emma’s handwritten cookbook included onion, she did not use them when she made it. Hers was a very mild salad that successfully accompanies any roasted meat, or even a myriad of vegetarian meals. Since I never made note of what she actually did, I have reproduced the taste and texture of her version based upon my childhood memories to create this recipe. 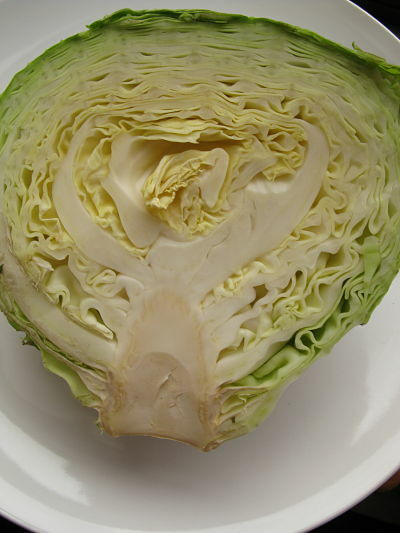 This unique dish is surprisingly addictive – the cabbage, which is halfway between cooked and raw, retains a satisfying crunch that is made refreshing by the acidity of the dressing. 1) Boil the water with the salt. 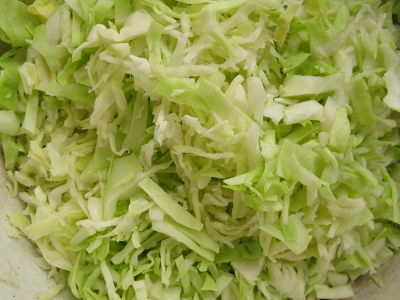 2) Prepare the cabbage: Shred the cabbage into a large heat-proof bowl. 3) Pour the boiling salted water over the shredded cabbage. Let it sit until the water cools, about an hour. 4) Pour off as much of the water as you can by pressing down with a plate that is slightly smaller than the diameter of the bowl, holding down the plate and inverting the bowl in the sink until all the water has poured off. 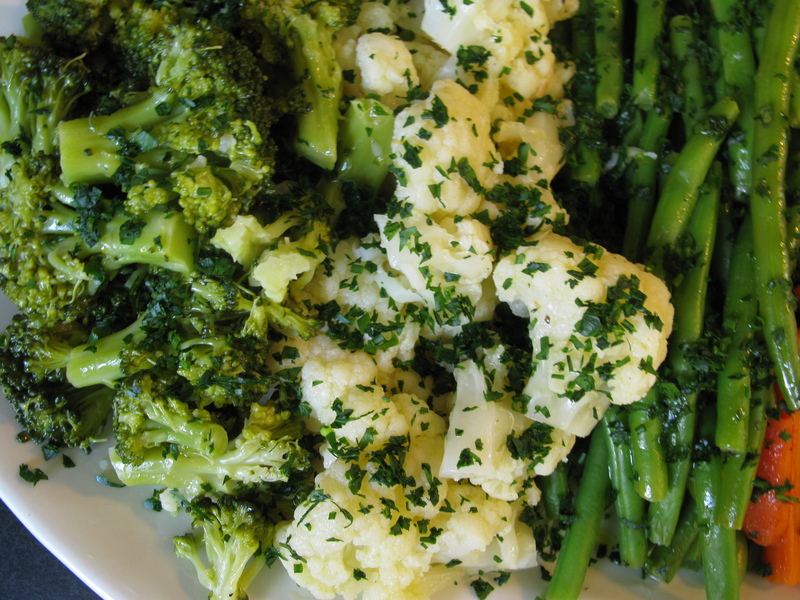 4) Make the dressing: Combine the oil, vinegar, salt and pepper in a small bowl and whisk. Pour this over the cabbage and toss. 5) The slaw will be ready to eat immediately, though the taste and texture will mellow and blend if allowed to stand for an hour or more. photos, from top: cross section of a green cabbage; shredded cabbage; finished slaw in dish; whole head of green cabbage; Gabrielle (in red apron) shredding cabbage on mandolin while a farm visitor looks on. 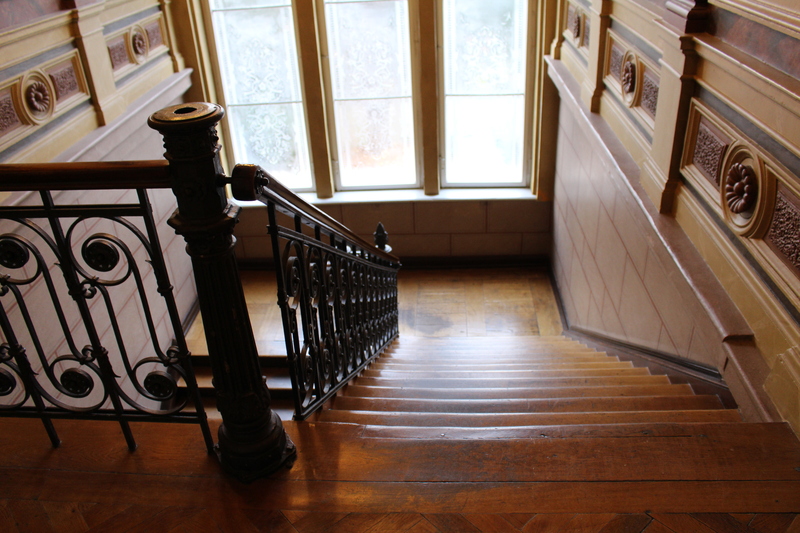 Last month I spent time in the gorgeous old neighborhood of Lichterfelde in Berlin. Very substantial three story buildings erected by a thriving bourgeoisie in the first decade of the 20th century. I was there to conduct a mediation training with my colleagues and friends Dirk and Ljubjana at their institute Inmedio. 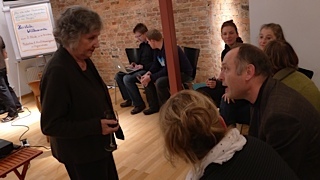 One of the evenings the trainers, some friends, and mediation trainees gathered for a “Fireside Chat” – an evening event they hold regularly. 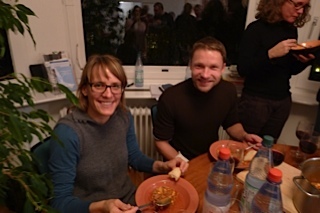 That evening I was making a presentation about our German-Jewish food project, a topic that loosely fits into one of the themes that preoccupies the Institute, the theme of dialogue. 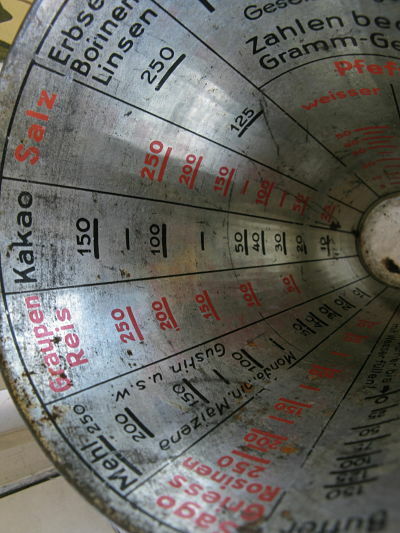 Speaking to a young German audience about the food culture of Jews who were historically German becomes an exploration of the interconnectedness between German-Jews and Germans. Dialogue is built into this conversation. 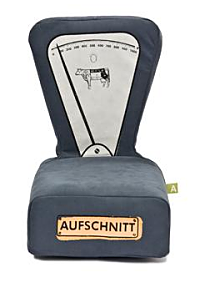 Germany has done a good job of teaching the Holocaust, perhaps too good. Sitting before me was a group of progressive people, all pursuing socially aware professions, whose vision of a Jewish person is inextricably connected with genocide committed by their ancestors. Most of them do not personally know any Jews. I was telling them that, although the Jewish community disappeared from Germany, a minority of us survived elsewhere, scattered across the globe. In my case, it was the 20,000 member German-Jewish community of Washington Heights in Manhattan where I grew up – which was large enough to continue the food culture of the old country. In addition, there were thousands more refugees from German-speaking Europe scattered around the New York area, with concentrations in the Upper West Side of Manhattan and Queens. I showed a Power Point presentation of images of German-Jewish life in New York in the 1940s, 50s and 60s. And I spoke about the food, touching upon Jewish food traditions such as Kosher law and special dishes for Shabbos and holidays. And also about German dishes that were tweaked to conform to Jewish law. Today, Jewish food in Germany is represented by Jews who have settled there post-war – primarily from Eastern Europe – whose food is quite different from that of the Jews of Germany before the war. I was speaking not only about Jewish cooking, but specifically German-Jewish Cooking. This was something that was hard for them to wrap their heads around because it virtually stopped existing in Germany after the war. That is one of the main reasons why Sonya and I are working on this project, to bring recognition of this food tradition and its culture back into the world. I had baked two loaves of Berches the day before in Dirk and Ljubjana’s large kitchen overlooking the wooded garden (Berches is the German-Jewish version of Challah – a braided ceremonial bread made without eggs, often including potatoes in the dough). 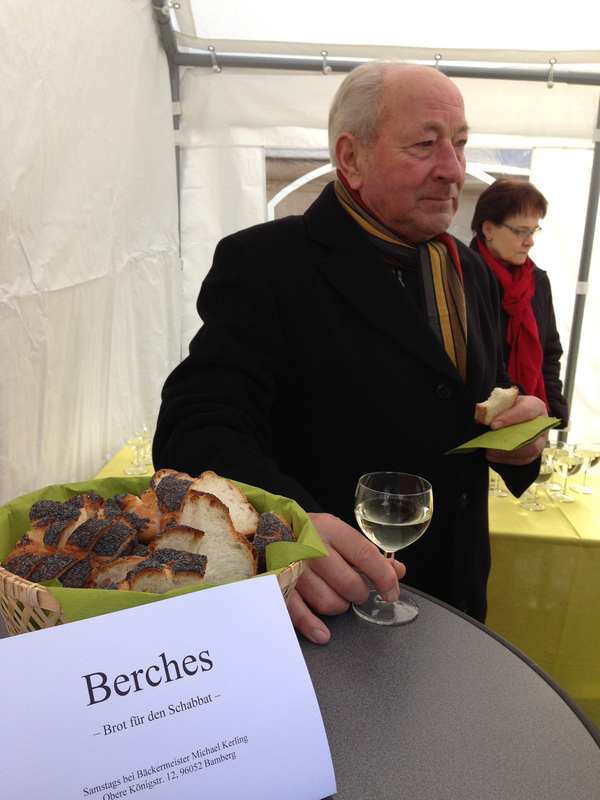 The bread was to be served with other foods as part of a cold buffet after my presentation. But before we began eating, I decided to make a traditional Friday night prayer over the bread. I said the brucha and then tore some of the bread into small pieces and handed it out to everyone. I wanted to emphasize the blessed nature of this bread, whose very name Berches is said to derive from the Hebrew word for blessing, Baruch. I explained that this bread was not only eaten during Jewish holidays, but also every single week during Shabbos. Then I sliced the bread and we all ate it with the accompanying spread of cheeses, cold cuts, hummus, guacamole, olives and grapes. Everyone thought the Berches was delicious and I received many “thank you’s” at the end of the evening for introducing people to this forgotten taste and tradition. Note: unfortunately I did not get any close-up photos of the Berches I made in Berlin. 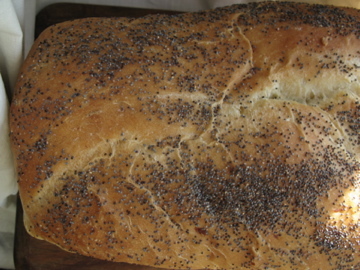 The shot above is of a Berches I made in October in a bread pan – it is unbraided, but made of the same dough.